Some people don’t just want to go big: they want to go portable. If you’re looking for a tablet that packs the size of a regular laptop, look no further. We’ve compiled a list of the four best 12-inch tablets of 2018 to make the daunting search for the best tablet easier. A tablet is a computing device that was made famous by the Apple iPad, though there are plenty of other manufacturers that make them. 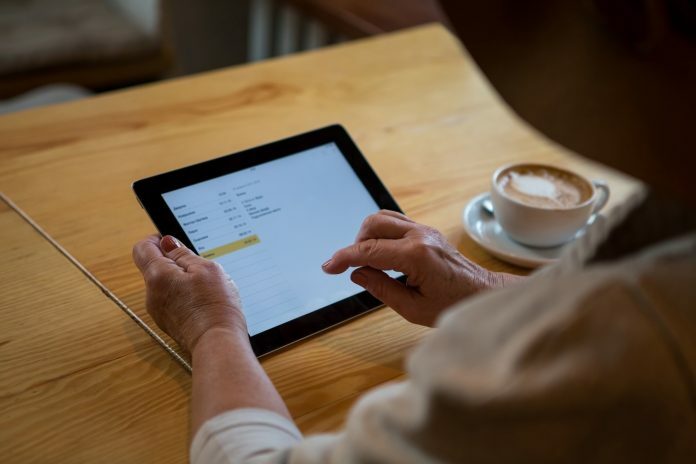 The tablet’s defining characteristic is that it can be used without a keyboard or a mouse, though many times you can purchase keyboards (or they come along with the device) and styluses are also a popular option. 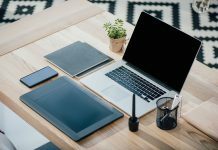 Tablets are great for people who spend more time interacting with visual content if used alone, though they can transform into a full-blown computing workhouse with the right accessories. Why should I buy a 12-inch tablet? 12-inch tablets will give you a huge amount of viewing potential. Those who want to host all-night movie marathons will do well with a 12-inch tablet. 12-inch tablets are also useful for children or the elderly, since the large screen will do well with young fingers or older eyes. Many people who wish to have their tablets also function as laptops will go with a bigger screen to facilitate this. What brand tablet should I buy? Pretty much all of the major computer manufacturers produce tablets these days. These companies include Apple, Dell, Microsoft, ​Samsung and more. However, there are also some up-and-coming companies that make very compelling tablets, like Huawei. These companies can often offer you more bang for your buck since they are not as well-known. How long does battery last on a tablet? As with any electronic device, the battery length will correspond with what you are using the device for. Casual surfing will use less battery as compared to multitasking or playing graphics-intensive games. Generally speaking, battery level is estimated with “normal usage,” which basically means surfing the internet and doing other non-intensive tasks. If you are a graphic designer or a gamer, it’s likely you’ll experience less battery longevity. On tablets, batteries tend to last between eight and 12 hours, depending on what you’re doing. We tried to take into consideration specs, price, power, and use when choosing the best 12-inch tablet of 2018. 12-inch tablets tend to run between $480 and $1000, depending on the brand and how powerful the tablet is. The price of the tablet also depends on what is included with it/what you want to buy to complete your tablet set. Some tablets, for instance, come along with a keyboard and a stylus and on others you must purchase these separately. Again, it depends on what you are going to be using your tablet for. Tablets that you wish to double as traditional laptops are likely to be more expensive. After much research, we decided that these were the top 12-inch tablets of 2018. Again, these are meant to appeal to different budgets and different tablet usage. The new Microsoft Surface Pro packs a lot of power into a very sleek and stylish package. 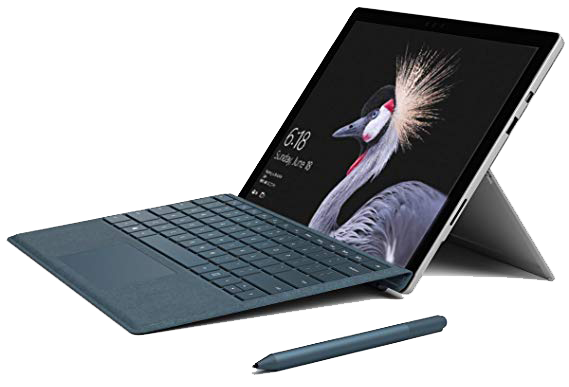 Those who are looking for a big tablet that has the performance of a laptop are sure to be impressed by what the Microsoft Surface Pro offers. The Microsoft Surface Pro offers an extremely crisp and bright 2736 x1824 PixelSense screen that is just as good for watching movies as it is for getting work done. The Surface Pen that comes along with the Microsoft Surface Pro is more sensitive and direct than ever. The Microsoft Surface Pro also comes with a convenient kickstand built in, for optimal viewing. Incredible screen and very impressive 13 hours of battery life. The construction is solid and the Windows 10 included on the device is zippy fast. Large tablet users often use their tablets in lieu of a laptop or other computer, and the Microsoft Surface Pro performs very ably here. The surface Pen and the keyboard are not included in the purchase, making this a rather pricey device to invest in. Lack of type-C port leaves some users scratching their heads. You can purchase the Microsoft Surface Pro from Amazon or other electronics retailers, such as Best Buy. There is a one-year warranty on the Microsoft Surface Pro. For those who are seeking a great large tablet for a minimal price, the Asus Transformer Book packs a lot of value for minimal compromise. The Asus Transformer Book is a handsome addition to anybody’s tablet repertoire, offering lovely design with an included keyboard. For the cheap price tag, the Asus Transformer Book delivers. It comes with a very vibrant TruVivid Display 1920 x 1080 screen that will please most movie watchers. The 4 GB included RAM is enough for most casual users. The included keyboard is a big bonus that won’t come standard with many other tablet purchases. Again, the fact that the Asus Transformer Book comes with its own detachable keyboard is worth a second look on its own. The low price of this workhorse adds to its appeal. The Asus Transformer Book is attractive and punches well above its price point for the visual appeal. However, the Asus Transformer Book only has a battery life of eight hours, which is a bit underwhelming. Plus, the audio output is somewhat lacking, and the fact that the Asus Transformer Book lacks a full-size USB port can make its connectivity a bit difficult. 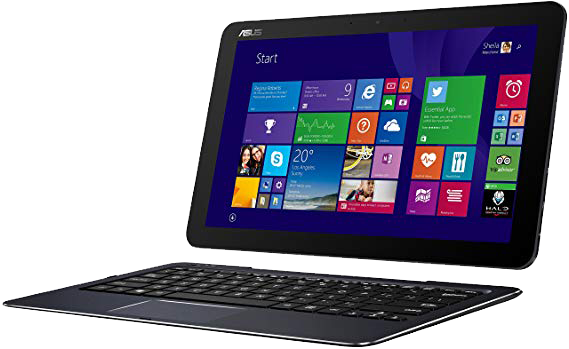 The Asus Transformer Book is available on Amazon for $499.99. You can purchase the Asus Transformer Book from Amazon, or brick-and-mortar electronics stores like Best Buy or Fry’s Electronics. The Asus Transformer Book comes with a one-year warranty. It’s hard to have a tablet lineup without mentioning something from Apple. The Apple iPad Pro brings a lot of bang into the tablet world: it’s a marvel of glass and aluminum, giving it a highly premium look and feel. The audio output is very impressive for a tablet, and its power makes multitasking no sweat. The Apple iPad Pro is a marvel with its Apple 9X chipset. When combined with 4GB of RAM, the Apple iPad Pro absolutely hums through any sort of task you throw at it, from graphic design to games to daily browsing. The extra-large 12.9 screen can put most traditional laptops to shame. It has very solid construction that feels great in the hand and delivers that trademark premium touch that comes from the Apple brand. This is definitely a tablet that can outperform many laptops. For those who brook no quarter when it comes to quality, the Apple iPad Pro is a great choice for your tablet. The audio and visual quality that come standard with the Apple iPad Pro basically eclipse any other tablet option on the market. It offers high-grade connectivity. 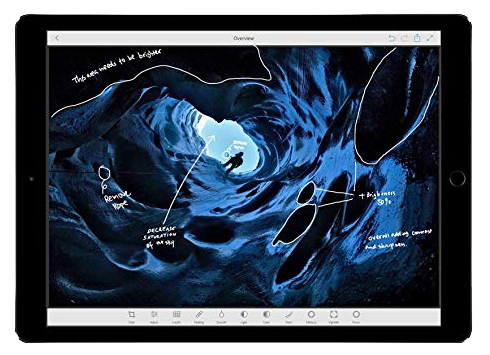 However, the Apple iPad Pro is extremely expensive, and it doesn’t come with the Apple Pencil or a keyboard; all of this must be purchased separately. This tablet is also huge. This is a bonus for many people, but it makes it impossible to be used by small hands. The Apple iPad Pro is available from Amazon, and also from other retailers like Walmart or Best Buy. The Apple iPad Pro comes with a one-year limited hardware warranty. There’s no reason to let all of the big-name manufacturers hog the spotlight, and especially not with the Huawei MateBook. This large Windows OS tablet offers a lot of bang for the comparatively small buck you shell out for it. It’s slender, made out of premium materials, and churns along at a fast rate. One of the most enduring features of the Huawei MateBook is its slimness. For those who want maximum mobility, it’s a great choice. Plus, since it’s not one of the “big name” brands, the Huawei MateBook comes with a smaller price tag for a bigger “wow” factor than you might get elsewhere. Again, the Huawei MateBook comes at a very favorable price for the amount of power that you get for the purchase. The screen is vibrant, and it’s a very sturdy construction that could withstand a couple of drops. However, the Huawei MateBook’s keyboard does come separately, and since the stand operates with magnets it’s more likely to fall over. Plus, since it is so slender there’s only room for one C-type port on it, which makes connectivity a problem. Battery life is also only nine hours, which is lower than a lot of the competition. The Huawei MateBook is available from Amazon and is also available from retailers like Best Buy or Fry’s Electronics. The Huawei MateBook comes with a one year from date of purchase warranty. While it clearly depends on what you wish to use it for, we have to go with the Huawei MateBook for the best 12-inch tablet of 2018. While any electronics purchase is going to come along with some compromises, we do have to say that the professional feel of the Huawei MateBook won us over. We like how study it is and how well it performs, particularly considering its low price tag. While you do have to purchase a keyboard separately with the Huawei MateBook, the fact that the base price of the tablet is so low means that purchasing separate accessories won’t be as painful as it could be otherwise. 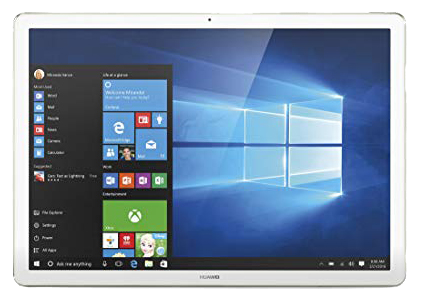 You do lose out on some performance with the Huawei MateBook, so if you are planning on using your tablet for graphic design or other performance-heavy tasks, then you may want to consider upgrading to the Microsoft Surface Pro or the Apple iPad Pro. 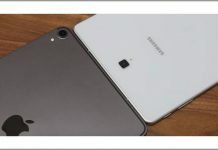 However, you’ll probably find yourself spending another $600 minimum on the tablet as well as a keyboard or other accessories you need to make it work for you.